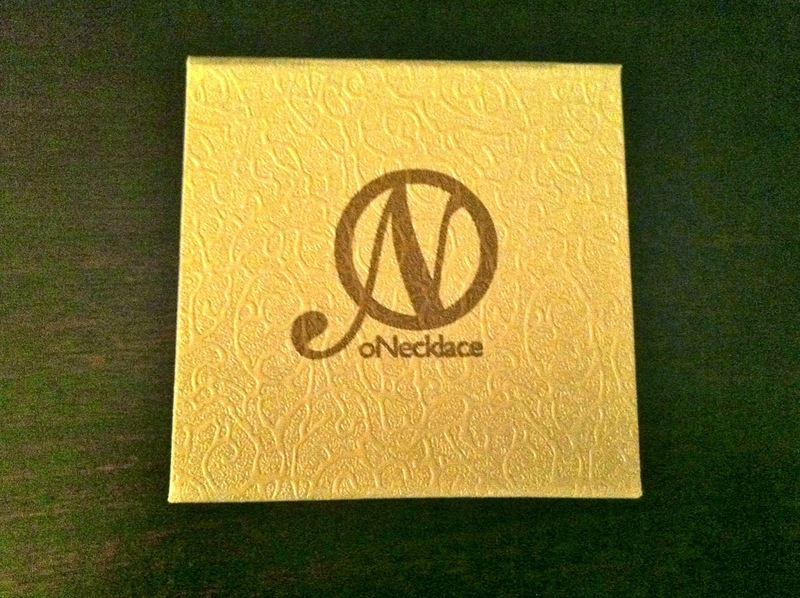 A few weeks ago, oNecklace contacted me about doing a review of their jewelry. As you know, I love anything monogrammed, especially jewelry, and oNecklace has some really unique options. So naturally, I was all in! 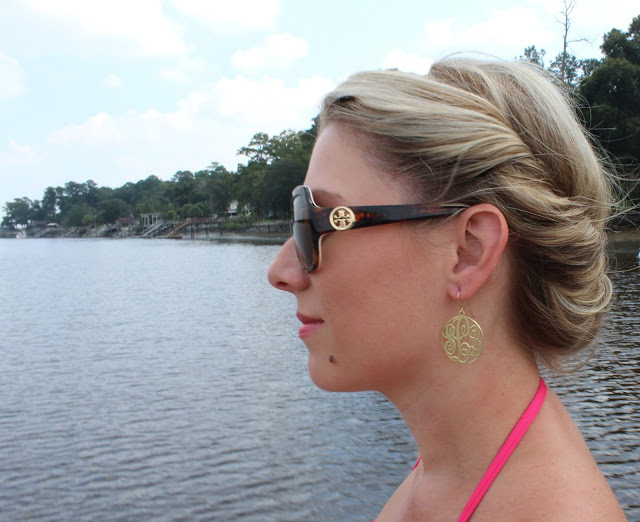 Since I already have a monogram necklace, I requested these gold monogram earrings. I was literally counting down the days until they arrived. When I opened the gift box, I couldn't believe how beautiful and shiny they were. I immediately put them on and wore them to dinner. These earrings are not only beautiful but well made also. Made from 24k gold and sterling silver, these earrings arrived well packaged in a nice gift box. 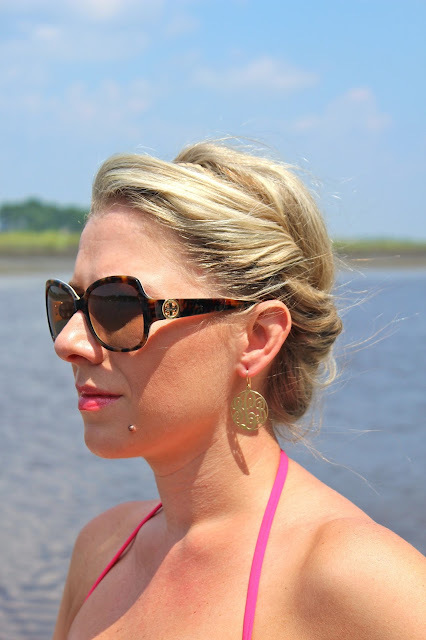 They have quickly become my go-to earrings and I've worn them nearly everyday since they arrived! I truly feel these earrings are quality pieces of jewelry that I will enjoy for years to come. 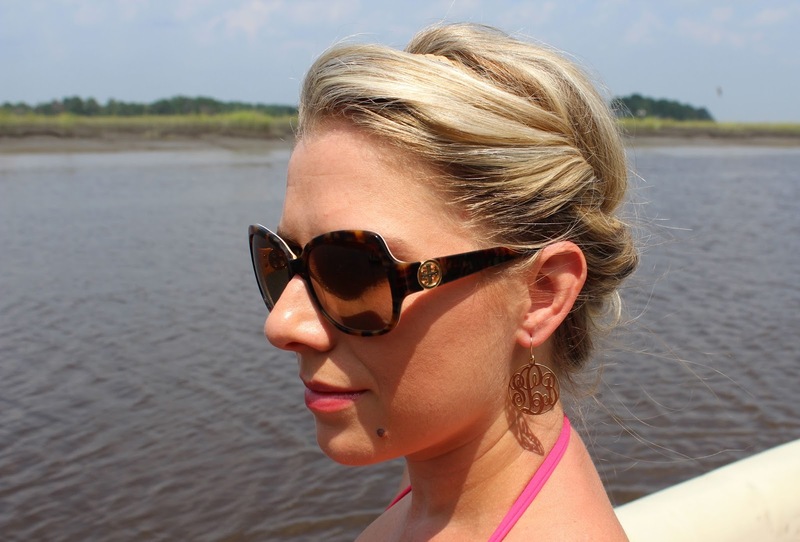 A few weekends ago, I wore my earrings while taking a river cruise with the family and it was the perfect opportunity to snap a few pics of them in all their glory! Shipping is free on all orders worldwide and oNecklace has so kindly agreed to extend a 10% discount to all Social Sara readers. Just use the code socialsara to receive 10% off your order. I'm getting ready to order this ring. Perfect right hand ring! Don't ya think? oNecklace shipped my earrings quickly and they were great to work with. I hope you will check them out! Disclaimer: oNecklace gifted me these earrings in exchange for a review. I never review products I'm not 100% willing to spend my own money on. I love these earrings and I am proud to share them with you. Have a great Monday, dolls! So pretty!! Your hair looks great too! Nice! 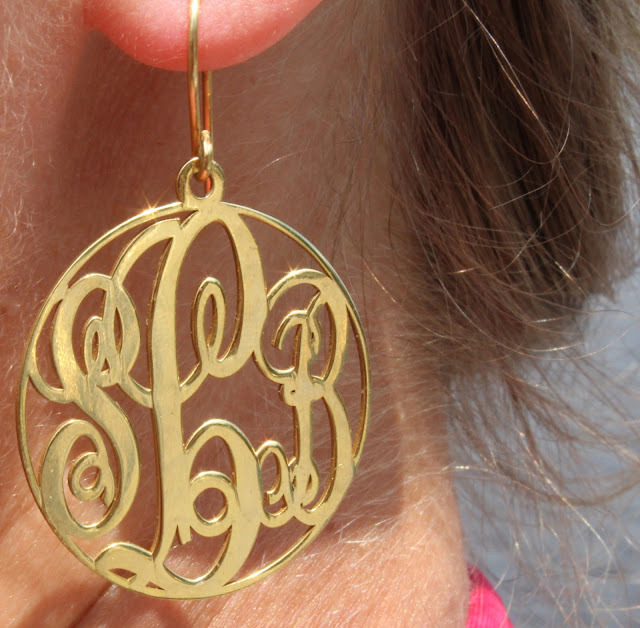 I have a silver monogram necklace, but the earrings are a nice change. They look great on you!